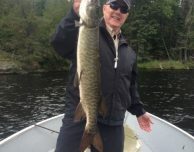 Escape to the Wilderness with Nestor Falls Fly-In Outposts for some spectacular Northwestern Ontario Muskie Fishing in your own private luxury outpost cabin on Kay Lake. 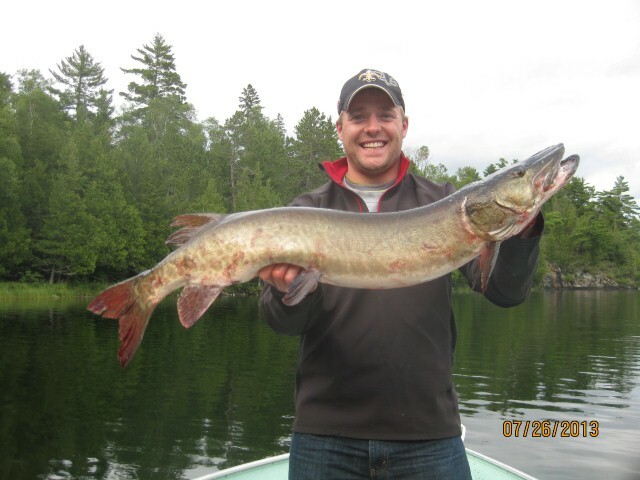 If you haven’t fished for Muskies then you are missing out on the fishing experience of a lifetime. 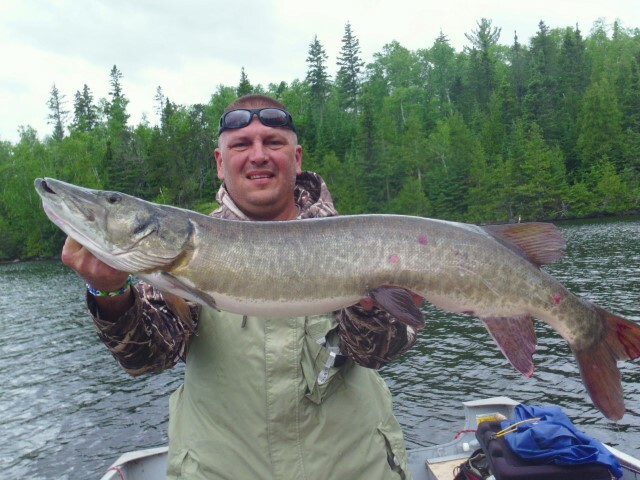 Muskies are the only fish that will make your heart pound when they do strike your lure, and then it’s your will against theirs. Few words can describe the suspense of casting out big bait, reeling it back as fast as you can and having a large aggressive fish come out of nowhere and try to tear the rod out of your hands. We have been practicing catch and release of these monster size fish for several years which keep the population of trophy Muskie high. 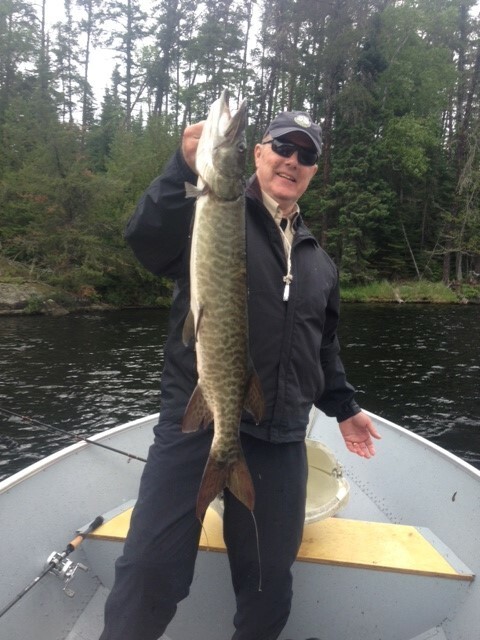 Some of the best areas are within a short distance of the cabin. 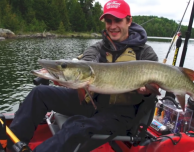 With so much variety in structure such as deep ledges, large basins holding tons of bait fish, large deep weed beds and sunken rock, the area has become a haven for Muskie. 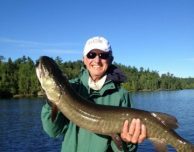 Kay Lake, with its spring-fed waters, holds abundant Smallmouth Bass, Lake Trout and Cisco populations which attract the Muskie. 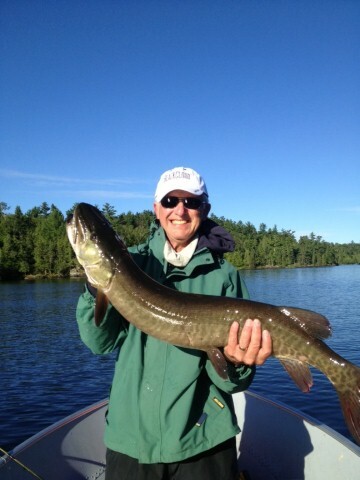 These Muskies will eat bass for breakfast! Favorite baits here are Mepps Bucktails, Crank Baits, Rubber Baits and Jerk Baits. Due to the high populations of Cisco, Perch and Bass, choosing lure colors that mimic these bait fish work best.